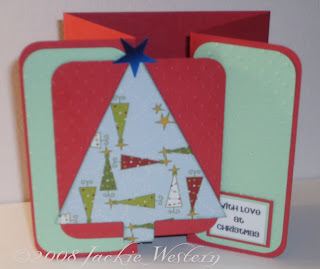 Make another Challenge Fold Christmas Card. I don't know why when I have a drawer full of red and green xmas paper all I've seemed to use is my very small supply of blue/silver! I like that one Ellen - what are the trees made of?